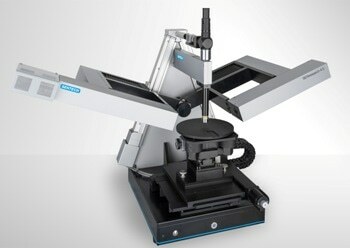 The SENresearch 4.0 spectroscopic ellipsometer covers the broadest spectral range; between 190 nm representing deep UV and 3,500 nm representing near-infrared (NIR). The high spectral resolution enables users to analyze even thick films up to 200 µm in thickness with FTIR ellipsometry. 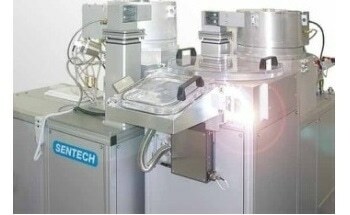 There are no moving optical parts during data acquisition in order to obtain excellent measurement results. 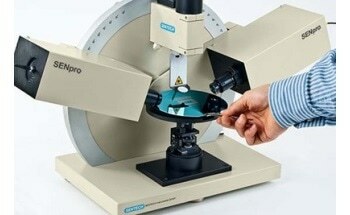 The Step Scan Analyzer (SSA) principle is a distinct feature of the SENresearch 4.0 spectroscopic ellipsometer. The extended version of the SSA principle with the innovative 2C design enables the measurement of the full Mueller matrix. The 2C design is a cost-effective and field upgradable accessory. 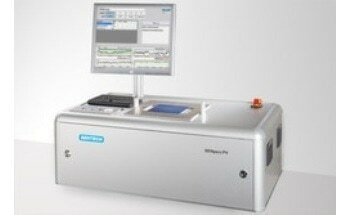 The SpectraRay/4 is the software package with comprehensive features that is used for sophisticated material analysis. SpectraRay/4 consists of the Recipe Mode for routine applications and the Interactive Mode for research along with guided graphical user interface. 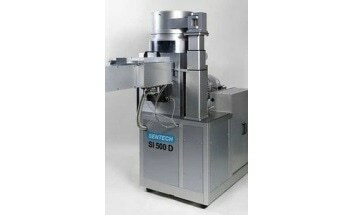 The SENTECH SENresearch 4.0 is the most recent spectroscopic ellipsometer and, each individual ellipsometer is a configured with customer specified spectral range. 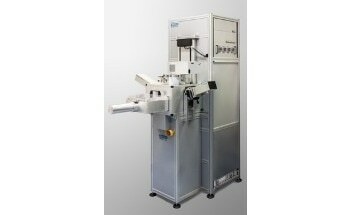 The SENresearch 4.0 makes use of fast FTIR ellipsometry for the NIR range up to 2500 nm or 3500 nm, respectively. It offers widest spectral ranges with excellent S/N ratio and superior, selectable spectral resolution. The measurement speed of FTIR ellipsometry can be compared to diode array configurations, which can also be selected up to 1700 nm. 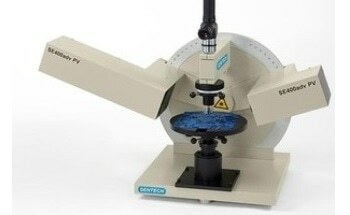 The new motorized Pyramid Goniometer has an angle range between 20° and 100°. Optical encoders guarantee prolonged stability and maximum precision of angle settings. 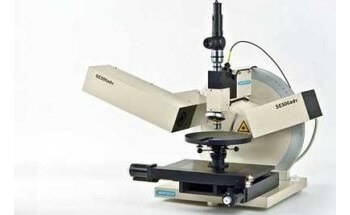 The arms of the spectroscopic ellipsometer can be moved freely to obtain angle resolved transmission and scatterometry measurements. The SENresearch 4.0 features the SSA principle. This separates the intensity measurement from the mechanical movement, to permit analysis of rough samples. To ensure the best measurement results there are no moving parts during data acquisition. In addition to this, the SENresearch 4.0 consists of a quick measurement mode that is used for in situ and mapping applications.